I applied the bait and its all dried up, is this what should happen? I place a good portion of bait on bottle caps. I placed them on bottle caps and place on the cupboards. This bait is water based "gel bait" and will dry up after a week or two. 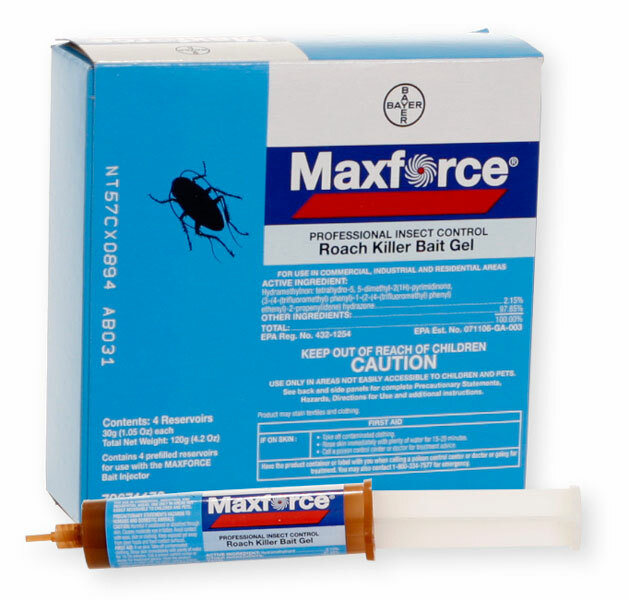 In severe cockroach infestations, this is not an issue as the cockroaches will consume it quickly. However, in that period of time, you should be able to determine if the cockroaches are still present. If so, then you need to reapply. I don't recommend placing it in bottle caps, just place it on a flat surface such as inside cabinets, inside of wall electrical switch boxes, behind the refrigerator, along counters, etc. There are no gel baits that will remain flexible for any period of time. They all work best within a few days of application.